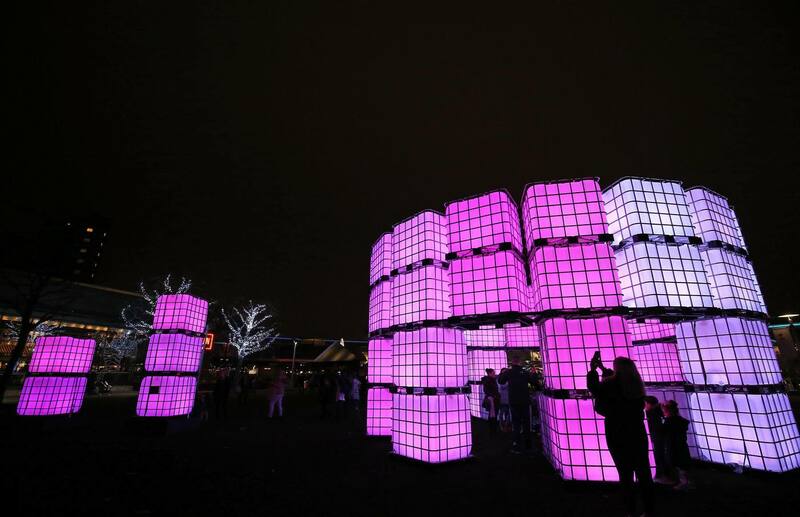 Developed by local artist, Mark Robinson, whose previous works have been displayed at Glastonbury Festival, the Polaris: Dare to Dream light installation was designed to represent the people, music, art, trade, education and sport that give Liverpool such rich culture. 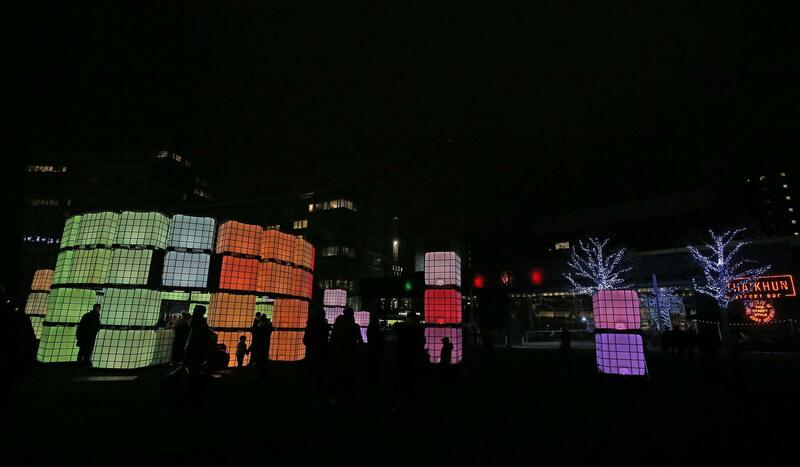 The spectacle was created using 96-colour changing cubes, each weighing 65 kilograms and containing computer-controlled LED lights and will be illuminated 24 hours a day until 9 January. Polaris: Dare to Dream will be illuminated 24 hours a day until 9 January, as part of Liverpool ONE’s 10th anniversary celebrations.